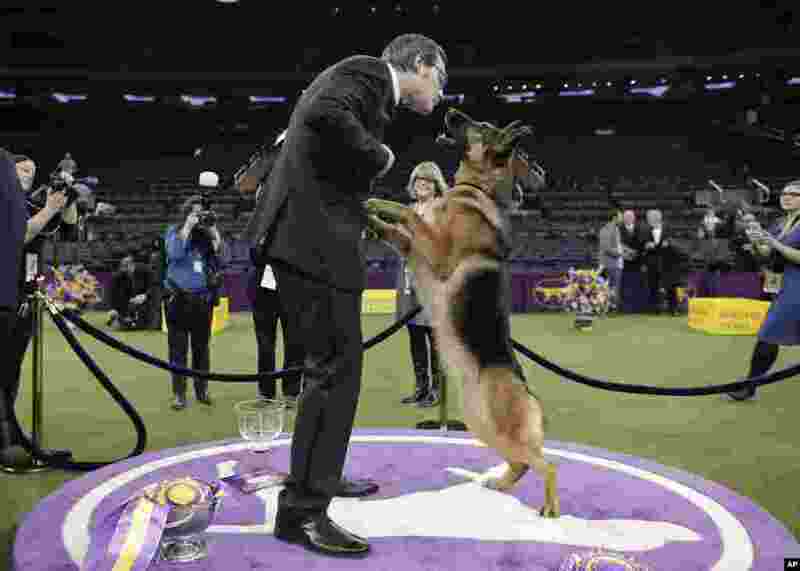 5 Rumor, a German shepherd, leaps to lick the face of her handler and co-owner Kent Boyles after winning Best in Show at the 141st Westminster Kennel Club Dog Show in New York. 6 Relatives take part in a burial service, holding portraits of Carlos Daniel Xiquin, 10, front, and Oscar Armando Toc Cotzajay, 11, who were kidnapped over the weekend and then killed when the family could not raise the ransom money, in Ajuix, Guatemala, Feb. 14, 2017. 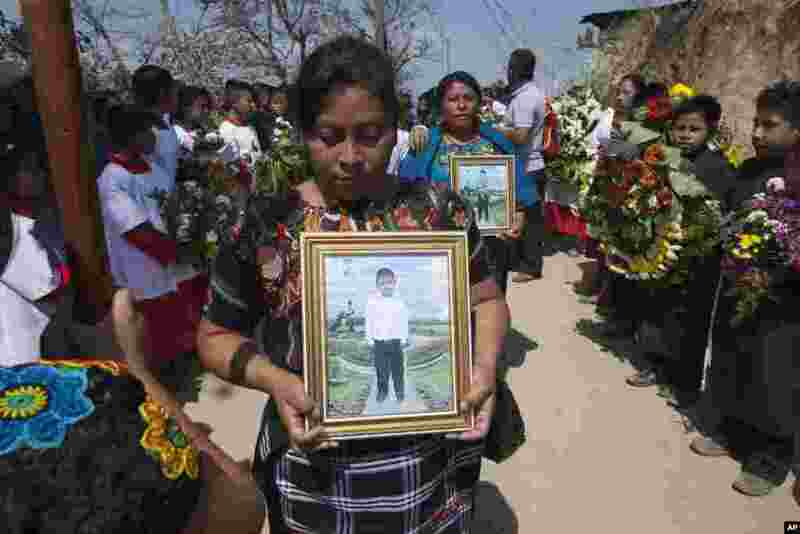 Authorities found the bodies of the two boys on Sunday, stabbed and thrown into sacks in the municipality of San Juan Sacatepéquez, northwest Guatemala. 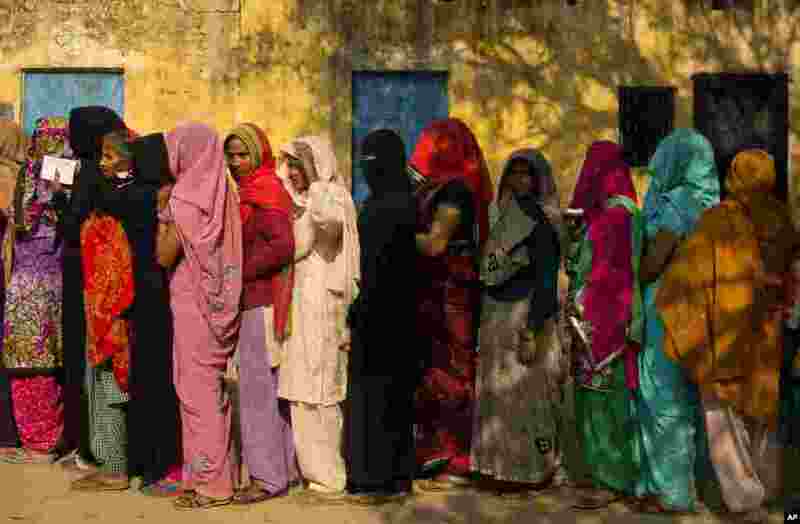 7 Women stand in a queue to cast their votes at a village near Amroha in Uttar Pradesh, India. Uttar Pradesh and four other Indian states are having state legislature elections in February-March, a key mid-term test for Prime Minister Narendra Modi's Hindu nationalist government. 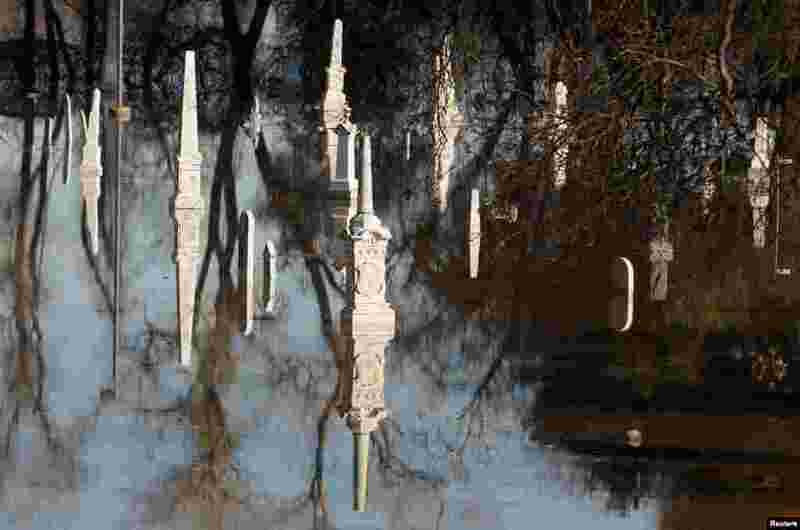 8 A cemetery is flooded in Marysville, California, after an evacuation was ordered for communities downstream from the dam in Oroville, California, Feb. 14, 2017.